At first, it may seem odd how seasonality can possibly impact a Google AdWords campaign. Digital marketing specialists have identified certain seasons which directly influence digital marketing campaigns for some industries. For instance, the holiday season around Christmas time is statistically the busiest season of the year. On the other hand, the summer season affects some businesses such as eateries and restaurants adversely. Therefore, it is imperative that businesses take into account the impact of seasonality and plan their digital marketing campaigns accordingly. Otherwise, seasonality can have a negative impact on the AdWord campaigns for industries such as the tourism industry. 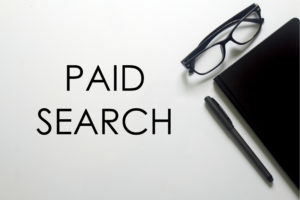 The internet giant Google allows people, particularly business owners, to promote their businesses online by creating a Google AdWords Campaign. Unlike SEO (Search Engine Optimization), the process can be quite complex which is why most people tend to seek the assistance of digital marketing professionals to create their campaigns. Empowered with their vast knowledge, digital marketing specialists ensure that your marketing dollars are used in the most optimum and effective manner. How can seasonality affect your AdWords Campaign? The secret behind any successful marketing campaign is fully grasping what your target audience might be attracted to in a certain time and situation. For instance, during the holiday season customers might be inclined to show interest in ads which are holiday themed and offer something pertinent to the season. That is why you may have noticed that Christmas themed ads start showing up as early as November in order to use the seasonality factor to their benefit. On the other hand, if your AdWords Campaigns are oblivious of the recent trends, local events or festivals, they might not be as effective as campaigns who adapt according to the season. For example, the tourist industry is one of the industries which are immensely affected by seasonality. Although, it is important to mention that seasonality is not necessarily limited to changes in weather. It could include events, fashion trends and or even a political event such as elections which may impact the Google search trends. If you wish to find out more about how seasonality can impact your AdWords Campaigns or have any other queries regarding digital marketing, contact FORWARD marketing at (773) 227-3269 to speak with a digital marketing specialist.